You wouldn't drive your car for years without any maintenance and your PC should be treated the same. Free Computer Maintenance is an easy way to automate important tasks and speed up your computer for FREE. No skills required. Clears up disk space on your computer by removing temporary files and emptying the Recycle bin, a process called Disk Cleanup. Scans and fixes logical file system errors and repairs any hard drive errors it finds, a process known as CHKDSK. 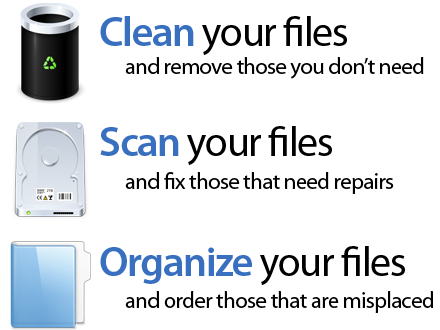 Increases disk access speed by rearranging files stored on your hard drive, a process known as defragmenting.